In a bid to boost recycling figures and cut litter, the government has announced a deposit return scheme on all drink containers, this covers plastic, metal and glass. Currently just 43% of the 13bn plastic bottles sold annually in the UK are recycled, and 700,000 plastic bottles are littered every day. Similar schemes have already been introduced in 38 countries, deposits range from 8p in Sweden to 22p in Germany. A deposit return scheme sees an up-front deposit added to the price of drink bottles and cans, that deposit is redeemed when the empty containers are returned. Once they are returned it’s the business’ responsibility to make sure they are recycled. Possible variants of a deposit return scheme include cash rewards for returning drinks containers without an upfront deposit. The introduction of the scheme in Germany has a 97% recycling rate. Currently it is unclear how this will be funded in the UK and if it will be compulsory for all retailers of single-use drink containers to participate. The British Retail Consortium welcomed the idea but added it wanted costs to be proportionate to the size of the retailer. In Norway the scheme was set up by the beverage industry after the government slapped a tax on every un-recycled bottle. 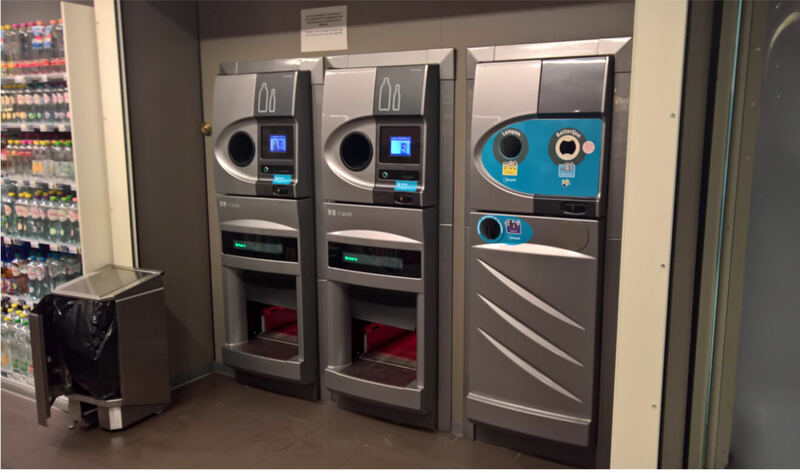 The drinks industry installed machines in shops that take in used bottles and cans, giving a coupon to return the deposit. It’s good to see that the problem of litter, in particular plastic, is being addressed and hopefully a solution will be implemented that’ll help stop the ‘plastic planet’ that’s being created.